Bangkok (AFP) – Thai police have arrested an alleged kingpin in Asia’s illegal trade in endangered species, dealing a blow to family-run syndicate that smuggles elephant ivory, rhino horn and tiger parts to Chinese and Vietnamese dealers. His downfall follows the December 12 arrest of Nikorn Wongprachan, a Thai National Parks and Wildlife Conservation official, at Bangkok’s main airport as he attempted to smuggle the rhino horn from the quarantine section to a nearby apartment. 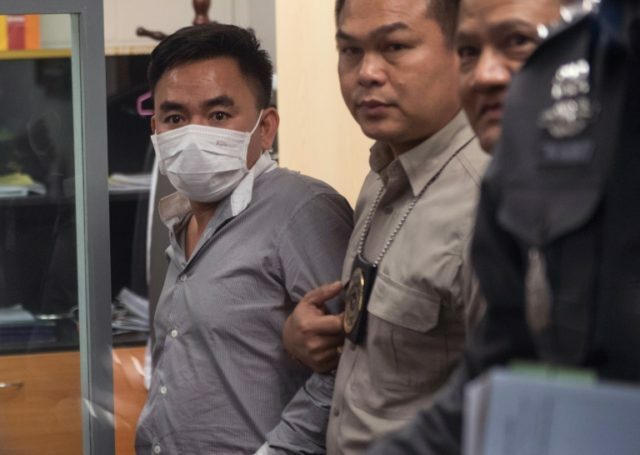 “This is a major smuggling syndicate and Boonchai is a ringleader,” General Chalermkiat Srivorakan, deputy national police chief, told reporters Saturday after the suspect arrived at Suvarnabhumi airport ahead of his remand. “Boonchai admitted he was involved,” Chalermkiat said, adding he faces up to four years in jail for smuggling parts of protected animals. For years Boonchai and the Bach family are believed to operated with impunity from Nakhon Phanom in northeast Thailand, bordering Laos — linchpin players in a multi-million-dollar trade in illegal wildlife. The town is a pivot point in Asia’s wildlife trafficking chain, in part because it is the narrowest neck of land for smuggled goods to transit through Thailand, into Laos and onto Vietnam, a major market for animal parts used in traditional medicine. Freeland, a counter-trafficking organisation which works closely with Thai police, said the Bach family are part of a sprawling Southeast Asian crime organisation dubbed “Hydra”. The Bachs have “long run the international supply chain of illicit wildlife from Asia and Africa to major dealers in Laos, Vietnam and China,” Freeland said in statement following the announcement of Boonchai’s arrest. They are believed to work alongside Vixay Keosavang, a Laotian dubbed “the Pablo Escobar of animal trafficking”, who orchestrates a major wildlife trafficking ring from the Communist state, bribing officials to allow him to operate. China and Vietnam are among the world’s biggest markets for parts from endangered or protected species including tigers, elephants, rhino and pangolins.